Is matching a Turbo to a Rotary engine different then with a piston engine? Absolutely. The rotary is a totally different creature & because of this, there are many other variables to consider when properly matching a turbo with a rotary engine. Things such as no valves to pass through, a hotter & more potent exhaust pulse, porting & many other things must be taken into consideration. Proper turbo to engine matching is critical & if you have any doubts, just drop us a line. 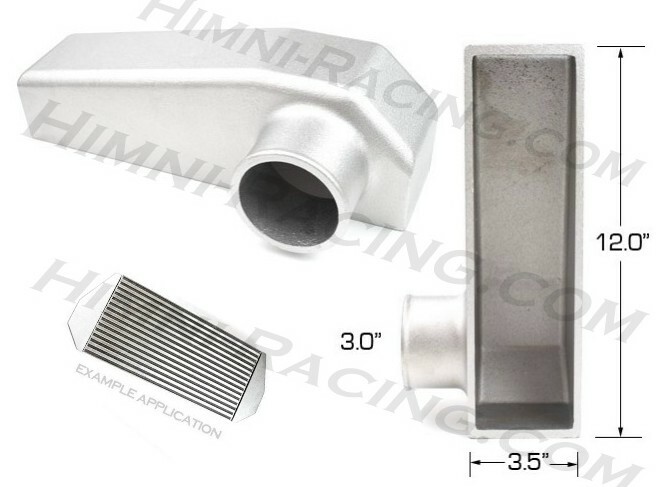 Himni Racing has extensive knowledge & experience with proven results when it comes to boosted rotarys. What Does the 'R' refer to when seen in the name of a GT Turbocharger? 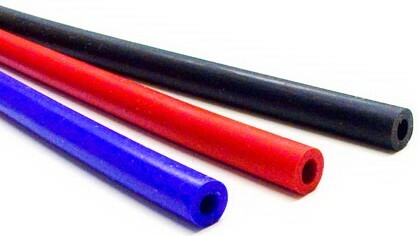 The 'R' in the name stands for "Roller". This indicates that the GT turbo is Dual Ball Bearing. Can I change the way the turbo's inlets & outlets are positioned? Yes & it's very easy to do. The exhaust & compressor housings can be rotated 360 degrees to the position that best suits your needs. Check our "How To / Tech Info" page to find out how to properly install & position your turbo. The A/R represents the over all inner & outer geometry (shape & size) of the turbo's turbine (hot side) & compressor (cold side) housings. The lager the A/R, the lager the housing. Smaller A/R's bring the boost on faster (less lag) as larger A/R's can yield more over all HP. On our site, you'll often see a option to pick your A/R. The A/R you're choosing is for the turbine housing. (unless otherwise noted) Choosing the best A/R for your needs is critical & can make or brake how the turbo works with your engine. Too small of a A/R can result in a loss of over all power. Overly large & you'll have too much of lag, etc. Two of the same cars, with the same turbo, can have totally different results based on the what A/R was used. What turbo & A/R is right for you? This all depends on the size of the turbo, the engine it's being used with & what the car is being used for. If you're unsure about what A/R is best for you, just drop use a line at himniracing@digital.net & we'll be happy to help you with choosing best turbo & A/R for your needs. Please provide us with:: How much HP (realistically) you want to make, the engine/ car it's being used with & what the car is normally used for. (Street, Road Racing, Drag Racing, Auto cross racing, etc. What does the different type of flanged turbine housings mean? There's a few different type of housings available. Most commonly, T25 , T28, GT25, GT28, T3, T4, T04 & Super T4 Again, there's allot to this but we'll just make it simple. On our site, you'll frequently see the option to pick a housing for a given turbo. The different housings, in short, represents the type of inlet mounting flange & exhaust outlet (discharge / exit) on the turbine (hot side) housing. ::INLET:: The inlet flange is the mounting point used to connect the turbo to the exhaust manifold. Some of the housings refer to basically the same mounting flange........ For instance: T25, T28, GT25 & GT28 all use the same inlet mounting flange. This means any of our GT turbos with one of those housings, will mount to the same exhaust manifold. (i.e. Have a T25 manifold? A T28, GT25 & GT28 housing will also fit it, etc.) A T3 flanged housing is the next step up in size & fits T3 manifolds. If you use a T3/T4 turbo, it also fits a T3 manifold. Next size up is the T4 & T04 housings. Again, their inlet mounting flange is the same. Just two different ways of referring to them. T4 housings fit T4 (T04) manifolds. The Super T4 is lager then a T4 housing & mounts to a Super T4 flanged manifold & does not fit a T4 manifold. ::OUTLET, DISCHARGE, EXIT:: This is the flange used to connect the downpipe to the turbo. The turbo's outlet / discharge / exit is on the back of the turbo's turbine housing & have different mounting flange variations. 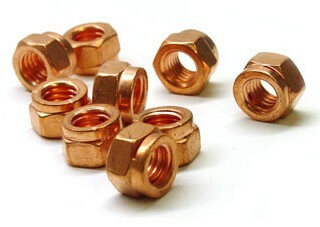 Most commonly, the 5_Bolt, 4_Bolt & V-band. The 5_bolt discharge found on the T25, T28, GT25, GT28 housings are different bolt pattern then the 5_Bolt discharge found on the T3 housing. (i.e. the T3 5_bolt housings doesn't directly connect to a T25 5_Bolt downpipe). T25, T28, GT25 & GT28 (has 5 bolt discharge) most commonly have internal wastegates built into the turbine housing. The T3 5_Bolt housings can be used with a internal wastegate swingvalve housing or a external wastegate. Your choice. The 4_Bolt & V-band flanged discharge housings are for use with a external wastegate only. What does the wastegate's spring pressure mean & how do you pick the right one? The spring pressure represents your base-line boost pressure. If using the wastegate WITHOUT a boost controller, the spring pressure in the wastegate is the amount of boost you will make. (i.e. 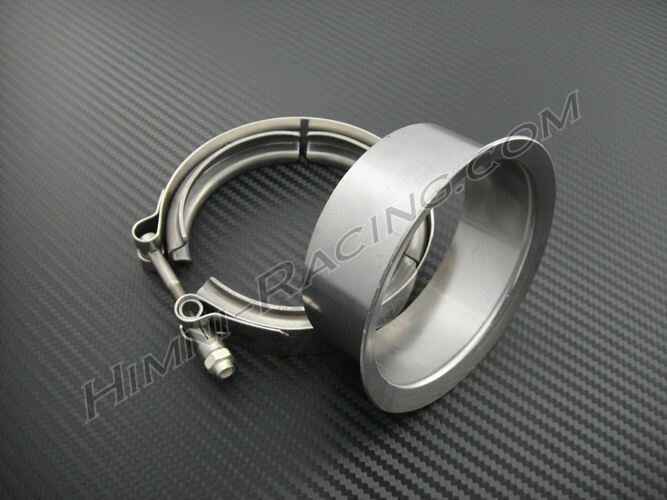 6 psi spring in the gate, your car will make 6 psi of boost) If using the wastegate WITH a boost controller, the pressure can be increased above the wastegate's spring pressure, but NOT below it. (i.e. 6 psi spring in the gate, the boost contoller can not decrees boost below 6 psi, only increase above it) When using a boost controller, the lower the spring pressure used in the wastegate, the larger range of adjustably you have. 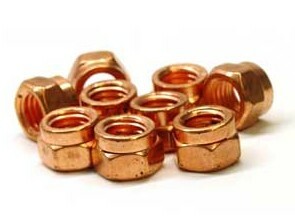 If using the wastegate without a boost contoller, pick a spring that's closest to the amount of boost you want to run. Here are some basic guidelines for installing your new turbo. Disconnect the actuator arm from the exhaust housing & remove the two mounting bolts that hold the actuator mounting bracket to the compressor housing & remove actuator. Hand tighten the two actuator mounting bolts back into the compressor housing. (the above does not apply to external wastegates turbos) Next loosen, (not remove) all the retaining bolts (1/2" size is the norm) that hold the exhaust housing to the center cartridge. Then do the same for the retaining bolts (13mm) that hold the compressor housing to the center cartridge. Both housings can now be rotated 360 degrees to best suit your installation needs. Mount the exhaust housing to the manifold. Next rotate the center cartridge so that the oil drain hold points directly at the ground. (very important) Now tighten the exhaust housing retaining bolts so the cartridge is locked into place, using a chris cross pattern. Rotate the compressor housing to your desired positioning. Install the actuator to the compressor housing so that the arm lines up with the wastegate swing valve. Next, tighten down all the compressor housing to center cartridge retaining bolts, again using a X pattern. If space is tight, you can make alignment marks (housings to center cartridge) & do the wrench work while the turbo is removed from the car. There has been a shift in traditional T-turbochargers to a more much advanced & modern Garrett GT technology Turbochargers. Older 'T' turbochargers served as a workhouse for the OEM & aftermarket for many years, but now Garrett's GT has revolutionize turbocharger performance from the ground up and enabled the reduction of turbo lag to virtually undetectable levels. Also heard & known as " Turbo Efficiency / Supercharger Response" In short, the Garrett GT Turbos are putting the term 'Turbo Lag' to rest! Why wait for your turbo to spool, when you don't have to anymore? In the 90's Garrett engineers R&D'ed a radically new efficient turbocharger, giving it the name 'New Garrett Technology'. (aka the 'NGT' turbo) Over time, they shortened the term to 'GT' and is now used to describe the aerodynamically advanced Garrett GT turbochargers. -- The old T turbos typically contained 54 components. If you compare this with the Garrett GT turbos, it has Greatly reduced the number of components by more than 45% to a average of 29!....That's huge! Reducing the number of individual parts diminishes the opportunity for failure, thus resulting in smoother motion & increased rigidity. Meaning, GT is stronger & spools MuCh quicker then T.
Journal / Thrust Bearing GT Turbos- The bearing system in the Journal Bearing series GT turbocharger allows for improved shaft stability and less drag throughout the speed range. In fact, the GT shaft motion has decreased by 20%, which greatly improves the durability of the bearing system. If you compare a GT turbo to a T turbo, both capable of the same HP/size, the GT turbo will spool faster, while making the same or more HP. In fact, a GT journal bearing turbo can spool faster then a ball bearing T turbo. All this, and it's stronger! GT Aerodynamics- The wheels used on the GT turbochargers increase the efficiency of the turbocharger system. Increased efficiency allows improved engine performance in each application. Wheel Trims- The GT Turbo has several more wheel trims than the T turbos, enabling a more accurate match of turbocharger to engine, that will in turn, result in optimum performance. No need to settle for a turbo that's 'close enough' to what your engine needs. Advancement- With the technology of today's Hi-Tech engines that are capable of producing much more HP per cubic inch, the use a T turbos only diminishes the engines performance. Advanced engines should use the advanced GT Turbochargers to obtain max performance. Rotary Engine Rotor Comparison Chart. Note:::� Weight is without bearings & seals. Always use a pair of matching letter rotors to avoid balancing issues.